Wong Yi battles Cheng Yat/Pso Tsai for the position of commander of the Seven Sea's. 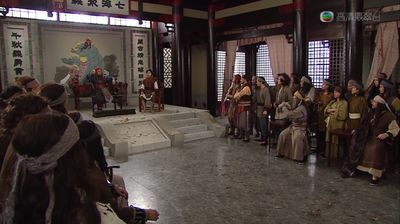 Pso Tsai is saved again by Wu So Na and once more declares her love for him. Chu Suk Kwan arranges the last things to marry Wong Yat Hin.